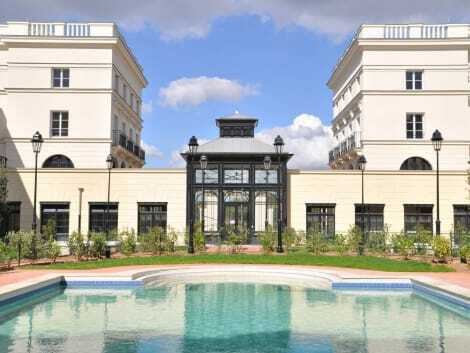 The modern, 3-star Hotel Campanile Val de France offers a shuttle bus to and from Disneyland Park and Walt Disney Studios, Disney Village, and the Eurostar station. 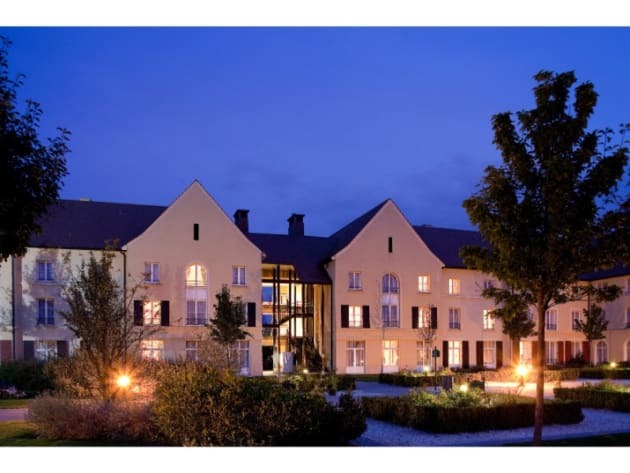 The hotel has a gourmet restaurant Le Marche Gourmand, onsite Disney store, merry-go-round and video games room and you can enjoy a drink on L’Abreuvoir bar’s terrace. 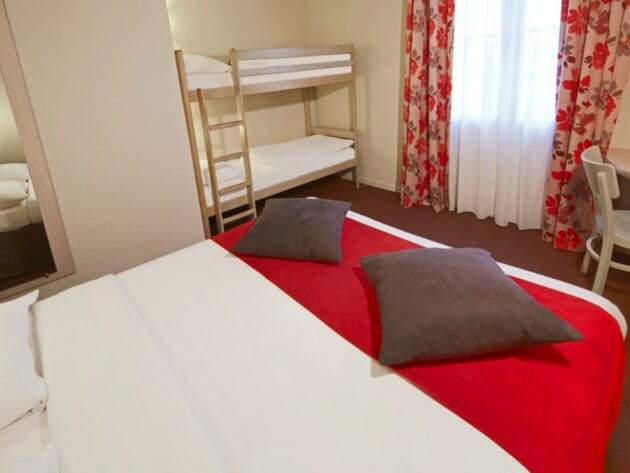 Smart rooms come with air-conditioning, a flat-screen TV, en-suite bathroom and free wifi to keep you connected. Sit back and relax at the hotel bar which features a friendly atmosphere in warm welcoming surroundings. Open from 8:30am to midnight.The restaurant offers a buffet breakfast as well as traditional cuisine for dinner. 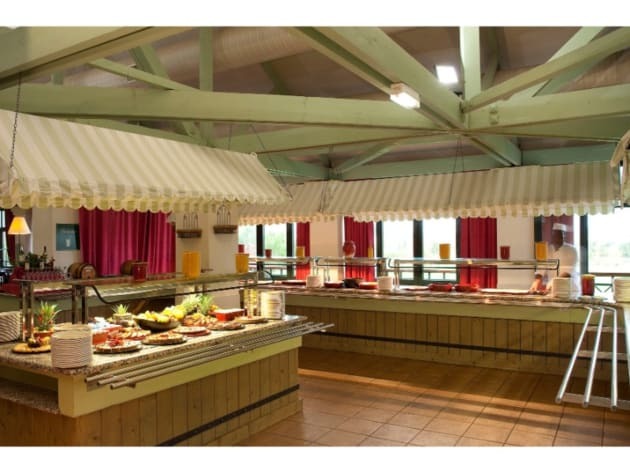 The "all you can eat" buffet includes a wide choice of hot and cold starters, dishes of meat or fish with a choice of accompaniments and delicious desserts. 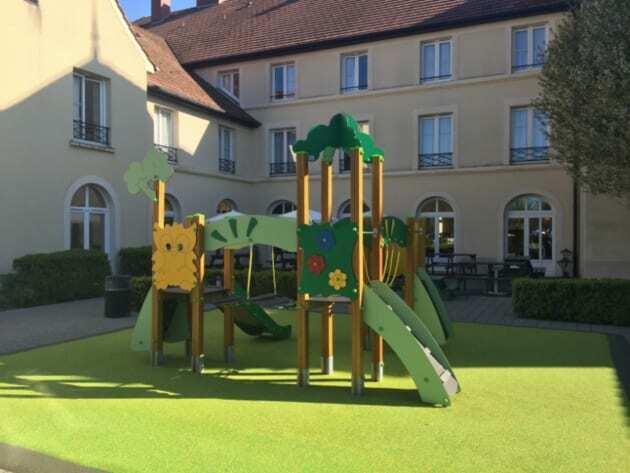 A family friendly hotel set only 2km from Disneyland Paris, Explorers Hotel at Disneyland® Paris offers fun and adventure for all the family with its pirate-themed accommodation and play zones. 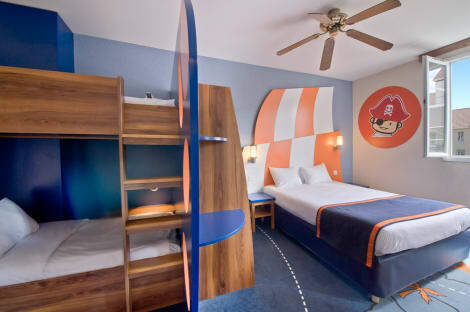 The ship-shaped rooms come equipped with free wi-fi access, satellite TV and en-suite bathrooms. Keep the kids entertained with a pirate ship playground and a swimming pool with three slides. 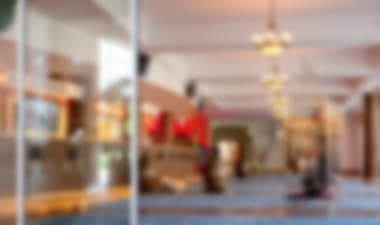 Keep in shape at the on-site gym then unwind with a cocktail at the Plantation Restaurant and Trader’s Bar.